Meridian Construction Corporation has become one of New Hampshire’s most trusted CM/GC/Design Builders. We are known as people who care about our employees and clients, are easy to work with, and bring integrity and expertise to the building process. 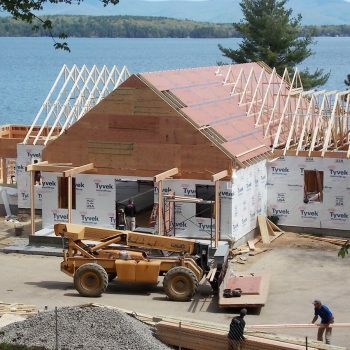 Located in Gilford/Laconia, the heart of the NH Lakes Region, we work all over NH with occasional projects in bordering states. For nearly 25 years, our company has been building and renovating commercial, institutional, healthcare, manufacturing, and high-end multi-million dollar residential projects. Thanks to our successful controlled growth strategy, we are now searching for a qualified candidate to join our team of construction professionals. Construction Superintendent Position – Minimum of 8-10 years relevant experience and a proven track record of successfully managing new construction or renovation projects in the range of $1 million to $20 million. To be successful the candidate will possess: people skills, be an effective communicator, be able to coordinate all trades in the field; a reliable and safety first attitude, at times being a working Super, experienced at layout of concrete, steel, wood and masonry assemblies, efficiently and accurately processing paperwork, and computer savvy. Experience in commercial, as well as high-end residential projects, is a definite plus. Excellent compensation and benefits package includes paid vacation and holidays, project bonuses, health insurance, 401K, and EOE.